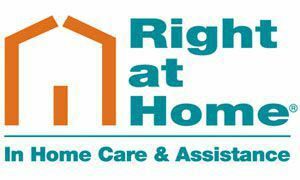 Right at Home takes care of seniors in their own homes. We provide a range of services, including meal preparation, transportation, light housekeeping, med reminders, personal care and much more. Our employees range from caregivers to Certified Nurses Aids and are bonded and insured, go through drug-testing, reference and background checks and license verification. We provide services for as little as 3 hours/day to 24/7, and provide a no-obligation, free assessment before services begin. Private Residence An Independent Senior Living Community An Assisted Living or Group Home A Skilled Nursing Facility (Nursing Home) A hospital, acute care, rehabilitation, or hospice facility We are proud to provide home care services to our clients. Please contact us today to speak with us about what we can do for you, your loved one or friend.